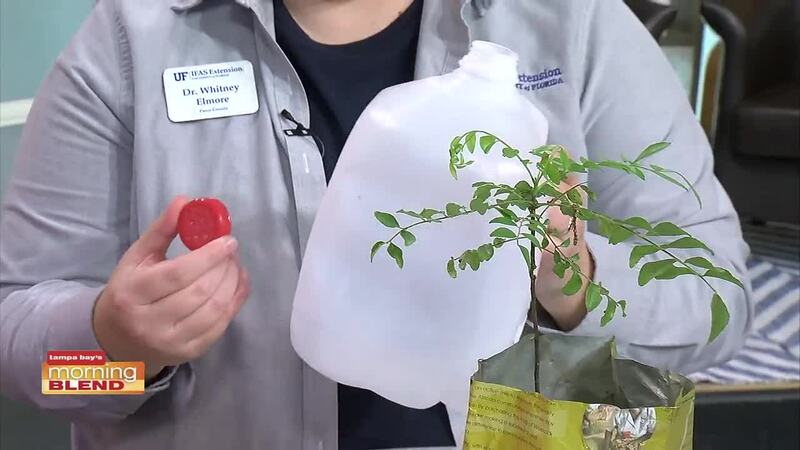 We talk about some great ways to recycle plastic materials. There are many ways to reduce, recycle and reuse a variety of non-traditional materials in the garden. Capturing rain water for reuse in the garden, making compost from kitchen scraps and yard waste, and even using mulch is a great way to recycle, reuse, and reduce waste. Items like newspapers, plastic cups and bottles, even dryer sheets can all be put to good use in the garden. Celebrate Earth Day by using some creativity to reuse items around the house to save money and reduce the waste in our environment. Earth Day Celebration at Pasco Extension One Stop Shop on April 22 from 12:00-3:00 at 15029 14th Street, Dade City.